I agree that it sounds like a great book that might miss its audience. This is one I've got to get my hands on! 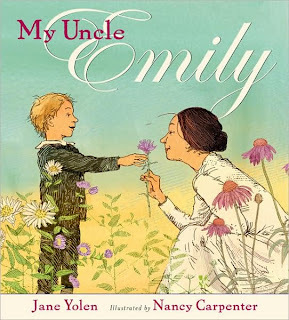 That looks like a good companion for a study on Emily Dickinson. I'd enjoy looking at this different perspective on her life. Appreciate your observations and concerns. I saw another review not long ago and thought this would be fun.I think I'll ask my library to order it. Thanks.